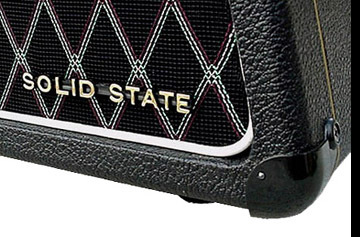 Speaker cabinet only, no speakers. 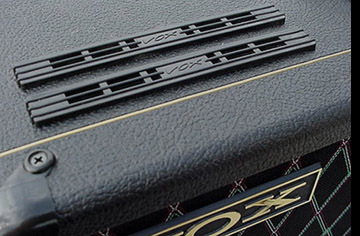 Finished in Thomas Vox style black vinyl with gold tadpole piping accents and black reissue Vox diamond grill. 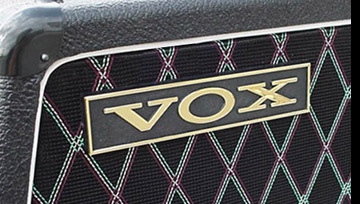 Includes correct vertical Vox nameplate, eight one pin corners, speaker mounting hardware, and a three pin speaker jack with a 20" long twin lead wire lead. Mounting holes and hardware for the installation of two Goodmans Midax horns are provided although North Coast Music cannot assist you in locating these horns. 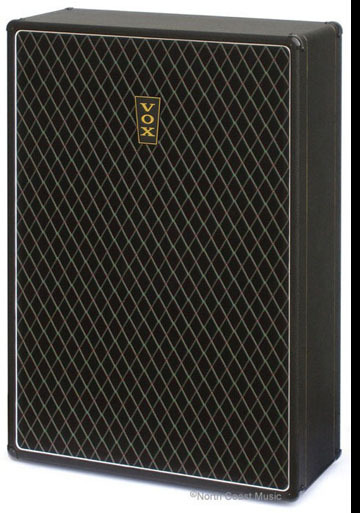 This reissue Super Beatle speaker cab is authorized and licensed by Vox Amplification, Milton Keynes UK. 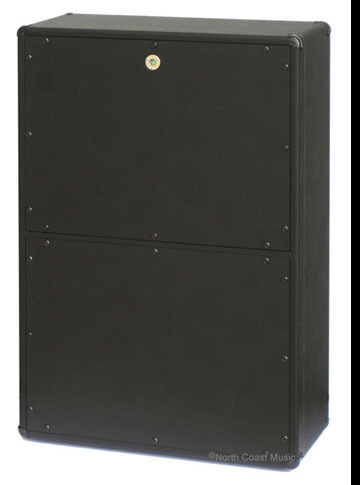 Speaker cab dimensions less trolley: 40" tall, 27¼" wide, 11 1/2" deep. About 75 pounds. 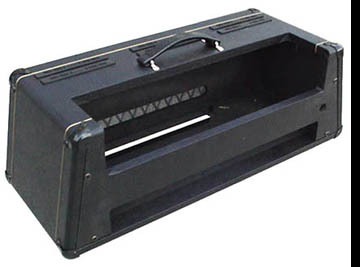 As NCM-128 above, but with four 12" Eminence speakers 30 watt speakers installed and wired in parallel to 2 ohms.